It’s still possible to register to the Pianotreff. So far we have almost 60 participants coming from seven different countries. We’re extending the registration until May 1st, since we still have some hotel rooms available for those who act quickly. The still available choices are listed on the registration form. Pianotreff is part of our Nordic collaboration since 1996. Norway, Finland, Sweden and Denmark will host annually our Nordic friends except every fourth year when the Europiano conference will take place. The convention is open for everyone around the world who takes interest in our profession. The convention will be the 19th this year and it is located in Finland for the fourth time. You can find more information about NPTA here. Welcome to the Treff in Finland once again! 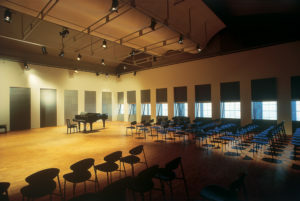 This year’s convention will take place at the Turku Conservatory of Music. It’s very close to the heart of the city and the hotel is at the shore of the famous river Aura. It just happens to be that our hotel is an old retired ship s/s Borea on that river. It’s not the fanciest, but I heard it was delightful and very personal. Sauna, breakfast and towels are included. All the rooms have a bathroom with toilet. We will also have a dinner on Friday at the deck 4, and the bar ”Manöver” is open from 17-24 at the deck 5. Our dinner for Saturday is in the restaurant Göran which should be at the same courtyard. The lunch, dinners and coffee are included for all the participants. Arrival to Turku is a no brainer. There is a train leaving straight from the Helsinki-Vantaa airport to the centre of Turku. You can by train tickets from VR. Our western friends have an opportunity to travel by ship; the harbour is almost next door. You can see the prices and do the online registration from here. Register now or regret it! Deadline for the registration is today, or April 15th 2019 at the latest. And from here you can find the full program with schedule. Address is Linnankatu 72, 20100 Turku. Checking in for Hotel is from 15:00 to 18:00 on the day of your arrival. If you come later, please tell the hotel your arrival time. Checking out from the hotel on Sunday is before 11:00 am.